"If there's a Rock 'N Roll Heaven, then you know they've got a hell of a band"
The music world has lost a true artist with the passing of Bob. It was great to see his career get re-ignited after people found out who he was when "Standing in the Shadows of Motown" was released. Always a consummate professional, and nice guy to boot. A writers writer has gone to the other side. I am a big fan of Frank Piersons work. RIP. I met Frank Pierson when he was President of the Academy and my father was working on "Who Needs Sleep?" He had some really important and insightful things to say about our industry, working conditions and long hours, how the movie business has become all about business (money). A truly fine individual... he will be missed. Cat Ballou, Cool Hand Luke, Dog Day Afternoon. Classic movies all. Most writers would have been happy to have just one of these films on their resume. Too bad we don't have more like him. Frank Pierson was a wonderful writer who worked tirelessly at his craft. I had the privilege of siting down with him at his favorite deli in Santa Monica, pitching a story to him that he was really interested in writing! Just his interest in an idea of mine had me over the moon. As it played out he took on another better paying assignment and that was that. Frank called me a week after our meeting and told me he had a lucrative offer to write a television project and he would have to pass. He was the consummate professional who respected everyone he came in contact with. He will be missed. "CHRIS MARKER: AN UNSENT LETTER". R.I.P. Harris Savides...A loss of a true talent. My condolences to his family and many film friends. 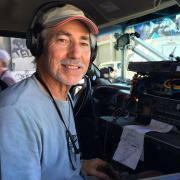 Retired local 695 sound mixer, James LaRue, passed away Sun. 12- 30 -'12 He was a great guy, old timer, fun to work with. Had some amazing "one liners". Always got a smile and a laugh out of the people he was around. I will never forget him. She was the Mother of 2 sound mixers and the Grandmother of 3 boom operators and the Matriarch to a large clan. Born and raised and died in her beloved Southern California. She had a great run of 89 years. Rest in Peace Dixie Chamberlain. It's always harder when it's someone we love!!! Crew, my sincere condolences to you and yours. She obviously made a huge impact in this industry and community! sorry for your loss, remember the 89 years! Crew I am sorry for your loss. Our thoughts are with you and your family during these difficult times. It's a hard loss at any age in spite of the consolation of recognizing a life well lived. Well stated RVD. I can't add any more other than to say, Crew, you have our condolences and we will keep you in our thoughts and prayers. RIP Dixie. Yr mom never really leaves you....I know mine is still sitting on my shoulder all the time, demanding I do my best and be a good man. 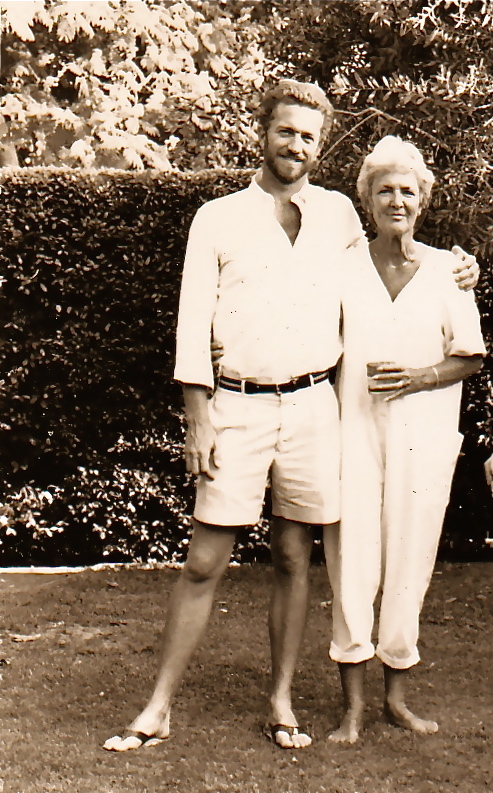 I miss talking to her, but I know what she'd say.... Hey Crew, the strangeness of having your Mom pass eases with time, but the memories never leave you. Man o man, I can't thank you all enough for the kind words and thoughts. It means the world to me to have friends like you. RVD, you know how I feel about you and the times we've shared, but Wow, you have humbled me with your kind words. Please outlive me and write my obit.....;~) Cheers. Philip Nutman, a gifted horror writer and occasional film producer/actor, and film journalist for many years passed away last night. Many of us in the audio community knew him, and will miss him. While he had gone through some tough times the last few years, I will always remember him as a punster and a quick witted guy with incredible knowledge of the history of film, especially horror and fantasy films. He was a very talented interviewer as well as fiction author. He wrote several screenplays, including one for the film "Jack Ketchum's Girl Next Door" (2007) which was very well done. I was introduced to him about 20 years ago, by a high school and college friend of mine, author Anya Martin, and immediately found myslef working with him on low budget horror movies, swapping stories, and building a friendship. In recent years, he had fallen into substance problems, but I always kept hoping he'd figure it out and get back onto his creative track. Sadly, he has run out of time to do that. Hal Needham, longtime stuntman and director of “Smokey and the Bandit” for Burt Reynolds, has died in Los Angeles after a short battle with cancer. He was 82. I never worked with Mr Needham but the stories were legendary. RIP.